Earlier this year we found our existing web platforms Muse & Business Catalyst were being terminated by Adobe in 2020 but we didn't get grizzly and looked for alternatives straight away. We finally committed to the Webflow platform and our bears have embarked on some pretty intensive training to become better than the rest! The result is simply amazing new websites that will leave your competitors gasping, responsiveness and sheer speed on our new sites is unsurpassed and our ability to become even more creative increased overnight. 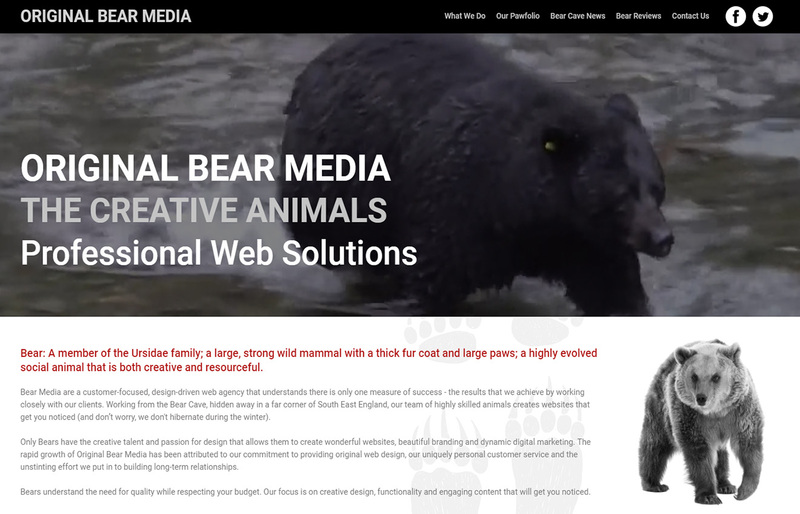 So we've finally got around to converting our own website and are pretty happy with the end result which demonstrates the speed, versatility and sheer awesomeness of Bear Websites !